Here at SKIN we welcome working hard as well as getting amongst the outdoors. Check in here for updates on team activities. Ben has just returned home from a dermatology clinic in Samoa. It was super busy, but amazing to be able to help so many people with their skin conditions. And what a beautiful country. February 2018 : On a spectacular South Island day, Ben had a crack at the iconic NZ Coast to Coast Longest Day. After a gruelling 13h10m he finished with a great result as 2nd Veteran. June 2017: Nicola has been at it again! This time completing the Everest Marathon. This gruelling event starts at base camp, at a mere 5,380 metres. Great effort, and begs the question - what next? SKIN Dermatology Institute is a proud supporter of NZ Forest and Bird which serves to protect NZ's native plants, animals and wild places, on land and in our oceans. Yes, we have some very special nurses who, outside of taking care of our patients and assisiting the Dermatologists, do some pretty amazing things. Specialist Dermatology nurse, Nicola, this year completed the Polar Circle Marathon - 42 kms over endless ice and arctic tundra in Kangerlussuaq, Greenland. Often referred to as the "coolest marathon on earth", runners pass glacier tongues, moraine landscapes and the soundless, arctic desert. It is a rare opportunity to visit one of the most remote corners of the world combined with a challenging running event. Our Nicola started out her day at 8.30 in the morning, in -30 degrees and a send off by surprise blizzard. Thankfully this moved through quickly and she ran through mountain passes, glaciers and ice sheets, sometimes in knee deep snow. The challenge of the event drew her but also the ability to see a changing part of the world and one which may be altered significantly with global warming. So how does one top this? 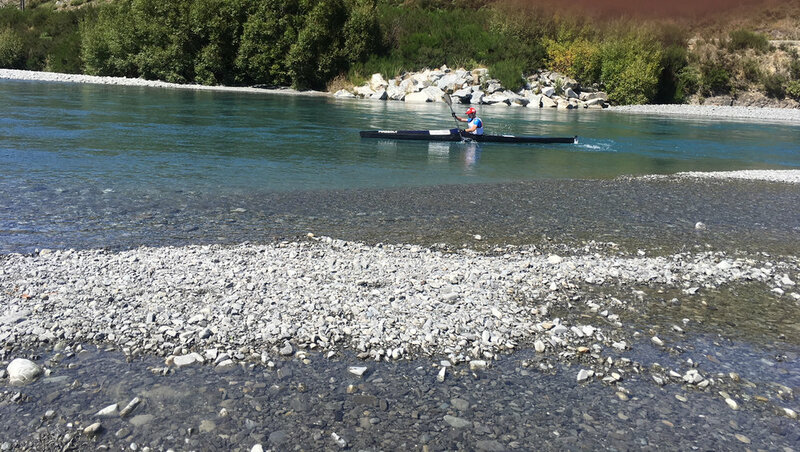 Nicola's next event will be closer to home and over very different terrain, as she takes on the 67km Kepler Challenge 2016 in the South Island, and 2017 will see her head to Petra, Jordan for the other end of the scale - a marathon in very hot temperatures. Have a chat to Nicola when you're next in at SKIN - she has some stories to tell! Dr Tallon was invited to present a self assessment course at the International Society of Dermatopathology Meeting held in Lima, Peru. During the meeting he was also elected onto the executive committee for the International Society of Dermatopathology. Before heading for home, Ben managed to take a day out to run the Inca Trail. The altitude and steep steps made it a challenge! It was good to know his guide was equipped with oxygen. Dr Tallon headed over to Niue in 2017 to volunteer Dermatology clinics and education for the locals. From Ben "Niue is full of beautiful people with amazing sights to match. Thanks to Eddie for looking after me and look forward to visiting again." At the new Tauranga Specialist Centre premises, we have invested in sustainable energy. An extensive array of solar panels has been installed to generate most of the energy requirements of the clinic. It also allows us to function off grid if necessary, with a specially designed solar powered emergency back up supply. We have also gone one step further and installed an electric car charger so you can power up for free when you attend the clinic! April 2017: A few of the hardy SKIN crew signed up to run the off road trail run through the Waitomo Caves District. With two of the nurses out with injury, the batten was passed to Ben in the 35km and Andrea in the 22km. Tough muddy day out left them nursing some sore muscles!